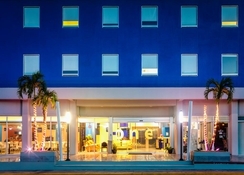 Nestled in beautiful Playa del Carmen, Hotel One Playa del Carmen is just 15 minutes’ walk from the beach. The rooms are specifically designed to exude luxury and they offer stunning views of the Mayan Riviera and the Caribbean Sea; wheel-chair access is available on request. Here at the hotel you enjoy complementary American Breakfast and free Wi-Fi. The hotel is 100% smoke free. What’s more exciting about staying in this hotel is that it is situated close to several famous night clubs, restaurants and bars. Cozumel, which is a famous water-sport destination, is also close to the hotel – just a short ferry ride to the island. 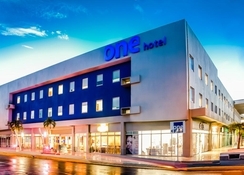 The Hotel One Playa del Carmen, as the name portrays, is conveniently set in Playa del Carmen. 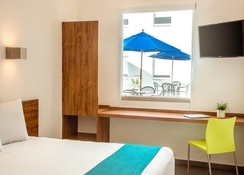 The hotel offers its guests fantastic views of the Caribbean Sea and the Mayan Riviera. The hotel is perfect for beach lovers, as the closest beach is only a 12-minute walk away. Both the Ado International Bus station and Playa del Carmen Maritime Terminal are only a kilometre from the hotel. The Cancun International Airport is about 55km from the hotel. 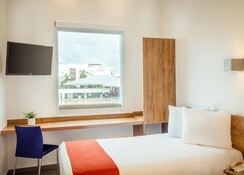 The 108 guestrooms at the Hotel One Playa del Carmen are absolutely stunning, making your stay one of the most memorable one. They are categorized as Accessible Room, Superior Room – one Queen, Superior Room – two Double and Superior Room – one Queen + one Twin. 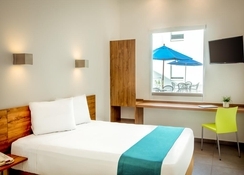 All the rooms are contemporarily designed and feature amenities such as air-conditioning, work desk, phone, wireless internet, voice mail, flat screen TV, in-room service and much more. There are numerous dining and drinking options around the hotel. Treat yourself to a Pizza at the Bella Italia Pizzeria or hit the Mariscos y Clamatos El Doctorcito for scrumptious seafood, Mexican, Caribbean and Latin cuisines. Apart from this, you can utilize the hotel’s room service for breakfast, lunch and dinner. 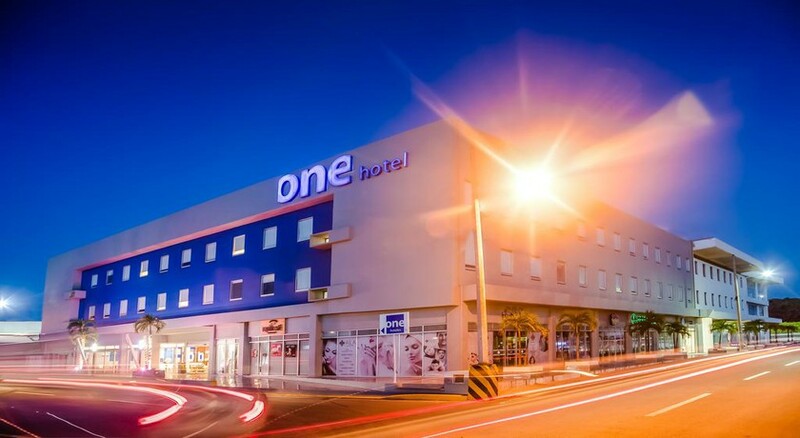 As the hotel is centrally situated in Playa del Carmen, you will find numerous sporting, gaming and water sport options to make your stay exciting and adventurous. Some of the golf courses near the hotel include Hard Rock Golf Course, Grand Coral Riviera Maya Golf and El Camaleon Mayakoba Golf Course. Or get yourself indulged with a number of water sports at the Playacar Beach, which is only 7.1km from the hotel. If you are fond of water sports and water rides, then head on over to Xcarat (10km), which is considered to be one of the best theme parks in the world.